In this Luminar review, our writer and photographer Anes Mulalic writes in detail about the latest features, ease of use, performance and other key aspects of this raw photo editing application. You’ll also see before and after photos, examples using Luminar’s Filters and Presets, as well as side-by-side comparisons of raw engine processing performance between Luminar and Photoshop (Adobe Camera Raw). Luminar, a photo editing application and a raw image processor first introduced in 2016 by a company that is now called Skylum (previously known as Macphun). 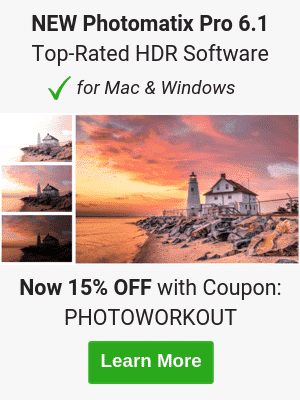 Before Luminar, they were known for Aurora HDR, a standalone app dedicated to HDR image production that received much praise. Just like Aurora, Skylum first released Luminar for macOS. After measurable success on the Apple’s operating system, Luminar was released to Windows users as well. Today, we are reviewing Luminar 2018 for Windows, although it remains obvious the application has originated on OS X, as it is very reminiscent of Apple’s UI simplicity principles. 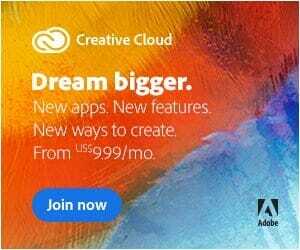 Perhaps the most obvious advantage over any Adobe product is the lack of a subscription model. While full-time professional photographers might appreciate paying a monthly fee for continuous access to Photoshop and Lightroom, along with regular updates and cloud services, for casual photographers or part-time professionals, that model is usually not so attractive. That’s where Luminar 2018 hopes to attract new and aspiring photographers, and potentially get some existing Adobe users to switch. Its simple – you pay once and the software is yours, for life. If you’d like to try it out before buying, Skylum offers a 14-day trial period for Luminar 2018. In terms of how it approaches the photo editing workflow, Luminar sits somewhere in-between Photoshop and Lightroom. It offers considerably more adjustment tools (called “Filters”) than Lightroom, but it’s not as strong when it comes to working with large batches of files. A view of the mountain Pljesavica, near Bihac, Bosnia & Herzegovina. Captured by Anes Mulalic. Edited in Luminar. Luminar 2018 can be an extremely simple or extremely complex tool, depending entirely on you. You could open it up and apply one of the presets to an image, export and be done with it. You could do the same for multiple photos at the same time. But you could also dive into the world of Luminar filters. I did a quick count and got about 50 of them, each with several sliders inside. And then there is layering, various masking tools, and so on. You get the idea. What’s important is that whichever approach you choose, the application remains consistent and intuitive throughout the workflow. Each filter you add is just as easy to remove as it was to add. Nothing is permanent, or should I say, destructive. It gets complex if you want it, but it never becomes confusing. With that said, there are aspects of editing features that are available in Luminar which seem rushed and simply not mature enough for serious production. Main editing screen in Luminar. Presets bar at the bottom and Workspace to the right. The first screen you’ll see upon starting Luminar will ask you to choose either “Open Image…” or “Batch processing”. If you only need to edit one image (at a time), good for you, as a whole world of awesome Luminar features will open up for you. I won’t say more about it here as almost the whole rest of the article will apply to single image processing. As for Batch processing, I have to say I was disappointed (at first), as the batch processing module is very bare-bones. You get to choose multiple images to process, after which you are presented with options for preset, output location, naming rules, file format, quality (of JPEG compression), color profile and the resize function. There’s also a sharpening (low, med, high) option hidden behind the “Advanced” button. From the first look at it, it seemed my batch processing workflow would be quite limited in Luminar. However, the trick lies in the “Presets”. In the sea of numerous available pre-defined Presets, there’s an option to load custom presets. We’ll talk more about these in the Preset section of this Luminar review. The toolbar sitting horizontally at the top contains the most crucial tools and utilities. Zooming, including a drop-down preset list with common zoom levels, as well as separate Zoom-In/Out buttons. Tools with Crop, Transform, Clone & Stamp and Eraser. As you can see, there are quite a few options here. At the same time, the toolbar is clean and clutter-less. Toggling a tool On will make the icon a radiant orange color, making it easy to see what’s which are currently active. The side-toolbar hosts everything you’ll need for proper raw image processing. The three icons in top-left are for toggling on or off Histogram, Layers and Image Info, respectively. If toggled on, image info will show ISO, focal length and aperture just on top of Histogram. Layers, if visible, are positioned just below the Histogram. Using the ‘+’ and ‘ -‘ sign you can add or remove layers. Layers in Luminar work very much like the ones in Photoshop. You can change their blending mode and opacity, merge all layers or just the visible ones. When adding a layer, you need to choose between an Image Layer (added from local drive) or an Adjustment Layer. Finally, there is an option for a Stamped Layer. Furthermore, you can add a Mask to any layer, and choose between Brush, Gradient, Radial or Luminosity Mask. When you look at this raw image editor as a Lightroom alternative, the Layers functionality are a welcome, beautiful bonus. I did notice some shortcomings which show signs Luminar has not quite matured in some areas. I’ll talk more about this a bit later. By selecting any of the workspaces presets, you’ll see several Filters loaded and stacked as separate windows inside the workspace. Of course, you can start with a clear Workspace and add these Filters manually, one by one (more on that below). But, in case you’re in a hurry, isn’t it wonderful to be able to automatically add the needed adjustments specifically designed for the selected type of photography. Speaking from experience, these three Filters alone can drastically improve your photo. We’ll talk in more detail about Filters in the next section, including the Skylum-trademarked Accent AI. Note that changing to a different Workspace after you’ve already applied some adjustments will not only remove the currently active Filters but also erase any changes that have been made on the image. My favorite part about Workspaces is that you can build and save your own, custom workspace. So if none of the existing workspaces presets work for you, you can manually add your own most-used Filters and save the whole setup for later use. There’s also an option to ‘Make default’ any Workspace currently in use. The presets panel is located at the very bottom of the Luminar interface. Its visible by default once you open the application but can be hidden using the ‘Hide Presets’ icon on the main toolbar. Presets are based on Filters. Each Preset is a combinatin of several Filters with different settings, depending on which Preset you choose. If you’ve ever used ON1 Photo Raw, you’ll find this setup very familiar. There are several categories of Presets, as well as a ‘Custom’ category which hosts custom Presets saved by the user. Personally, I don’t care much for the predefined Presets, but I do love the option to save my own. Just like with Workspaces, you can create and save your own custom Preset using a combination of manually picked Filters. The filters section is where most of the magic happens. Don’t let the name fool you, these are nothing like Instagram filters. Luminar filters are the equivalent of Lightroom’s adjustments, with the exception that there are more of them and are generally more powerful. If you’re working on the ‘Clear Workspace’ you can start by pressing the ‘Add Filter’ button. This will open up a vertical list to the left of your workspace area where you’ll see an impressing long list of adjustments available to be added to the workflow. Filters are divided into categories for easier navigation. These include Essential, Issue Fixers, Creative, Professional, and Utility. Both the names of these categories and names of Filters themselves seem very arbitrary. Some Filters you may find are even completely unnecessary, as they do more or less the same effect, just with a bit of a different spin on it. Other filters are completely unique to Luminar and produce amazing results, such as the Sunrays Filter which we’ll talk more about down below. Essential Filters are a range of basic photo adjustment tools such as Saturation, Tone, Structure, B&W, and Vignette. There’s also a special filter titled Accent AI FilterTM, which does a nice job of making the image ‘pop’ by applying about a dozen different controls automatically. I found it quite effective for quick edits. Issue Fixers are filters intended to repair issues relating mainly to noise, sharpness, haze, and details. We have Clarity, Sharpening, Denoise, Dehaze, Details & Foliage Enhancer, among others. Creative filters are where you can get a lot more experimental, so to say, and achieve various special effects. These filters include adjustments for color and toning (Warmth / Brilliance, Cross Processing, High Key, Golden Hour, Split Toning, Hue Shift) but also effects such as Soft Focus, Soft Glow, Texture Overlay, Fog, Grain, Radiance, and Sunrays. For example, Sunrays filter is one I found especially interesting and impressive. It allows you to add very realistic sunrays to your image. I was able to adjust the exact number of individual sunrays, their sharpness, length, warmth, and position along the X and Y axis. More importantly, the algorithms behind this filter will automatically take foliage into consideration, making sure to realistically mask out places. Professional filters contain some tools you’ll find familiar from Photoshop or Lightroom – Color Balance, Curves, HSL (Hue/Saturation in PS), Channel Mixer, Dodge & Burn. Additionally, there are goodies such as LUT Mapping, Microstructure, Split Color Warmth and Advanced Contrast. The Utility is another example where things get a bit repetitive. These are basic adjustments which would make more sense to be located inside Essential Filters. There is Adjustable Gradient (apply changes selectively on two different parts of the image), Brightness / Contrast, Color Temperature, Exposure, Shadows / Highlights, Whites / Blacks, Top & Bottom Lighting. Caesar the cat. Captured by Anes Mulalic. Edited in Luminar. Clicking on a filter adds the corresponding filter card to the bottom of your workflow. You can add as many filters as you want, stacking them on top of each other. Let’s take a closer look at a few filters I’ve found most interesting. You guessed it. This filter allows you to add sunrays to your photo. Recommended for landscape photography but you can use it on virtually any photo where it makes sense to add sunrays. The Filter works incredibly well, producing very realistic results, as long as you know what you’re doing. This is thanks to the algorithm behind the Filter, which is able to accurately calculate and automatically mask out areas where the sunrays are blocked by foliage or other objects. This means you can actually put the “sun” behind a tree or a mountain, without dealing with layers and masking. You can adjust the sunrays in almost every way imaginable. There’s a slider for Amount (intensity), Look, Number (of individual sunrays), Length, Warmth, Radius, Glow Radius, Glow Amount, Penetration and Randomize. Finally, you can move the source by adjusting positioning sliders along the X and Y axis. You won’t find anything as innovative inside this Filter, but I’ve decided to review it because it is essential for any serious raw image processing workflow. In fact, this is the only Filter that you can’t Mask. It’s essentially a base Filter for the most crucial adjustments. You’ll find settings inside similar to those found in Adobe Camera Raw. Luminar’s RAW Develop Filter has three tabs inside: Adjust, Lens and Transform. In order to get a better idea of performance in this Luminar 2018 Review, let’s do a little comparison between the raw processing engine in Luminar and ACR (Adobe Camera Raw). The idea is to compare how each behaves when sliders are pushed to the maximum. For the first test, a cousin of mine volunteered to serve as a model and stand in the shadow against a bright sunset background, which provides a perfect image for the dynamic range comparison. It seems Luminar’s engine brightened the shadows a bit more, but there’s isn’t a significant difference in visible details or noise levels. On the other hand, Adobe Camera Raw managed to pull out slightly more details out of burned-out Highlights. Next, we’ll review Sharpening and Noise reduction performance between Luminar 2018 and Adobe Camera Raw. We’ll also keep the adjustments from the previous test, with boosted shadows and reduced highlights. With boosted shadows and now added sharpening, the raw photo processed in Luminar shows significantly more noise and about the same amount of details. We could easily tone it down by adjusting exposure and achieve a similar result to ACR, and vise-versa. Apart from Luminar being a bit more aggressive (relative to slider values), both engines’ performance is up to expectation and free of anomalous artifacts. We did a similar comparison with ON1 Photo Raw and ACR, with somewhat different results. Each Filter window has a button for adding a Mask, hiding/showing the Filter and deleting it. The same goes for Adjustment Layers and any addition Image layers you might have. You can add a mask to any Filter/Layer, which will allow you to non-destructively mask out certain parts of the adjusted image. Do you want to decrease Highlights in the sky? No problem. Add a Highlights/Shadows filter and use the Gradient Mask. If you need to mask out a specific area of the image, the Brush Mask is very flexible and will do a great job. You can adjust Size, Softness, and Opacity of the Brush, making it quite versatile. Additionally, there are two more Masks available: Radial and Luminosity. The only issue I’ve come across is using the Transform tool with Masked layers. Specifically, resizing or doing any transform action on a layer will not transform the mask. For example, when trying to isolate a specific, often complex detail from an image, you’ll want to do it while the image is in its full size. After you’ve masked out unwanted surroundings, you may want to transform the object to better fit the background photo. That’s when the problem appears as you notice the mask you’ve created no longer fits the resized layer, and all the detailed masking work was for nothing. I’d like to point out that this is not the case with Photoshop, where resizing or moving a layer will automatically do the same for the Mask. A workaround would be if we could have the equivalent of Photoshop’s “Apply Mask” option, which would Merge the Mask with the Layer, allowing you to freely transform it. Alas, Skylum didn’t include this feature either. This is one of the areas where we see how some of Luminar’s features have not quite matured enough, yet. During the Luminar 2018 Review, we’ve gone over most features offered by this raw image editor. For the most part, it has been a very pleasant experience. The application was downloaded and installed in the Trial mode without hiccups. Overall, Luminar looks and feels like a clean, modern, responsive and a feature-rich photo editing tool. The simplicity of its interface (inherited from the macOS version of the app) is very easy to get used to, and the learning curve required to produce gorgeous photographic results is minimal. Luminar aims high as it tries to satisfy the most casual photographer as well as the professional one. It has a whole range of categorized Presets (with live preview for each) to choose from if you’re looking for a simple but effective way of quick raw image processing. Filters, which are the equivalent of Lightroom’s Adjustments, are abundant in their number, useful and fun to play with. They are also the building blocks of the fore-mentioned Presets. If you’re like me, you’ll want to have processing in control, down to the last slider. That means either manually adding a Filter after Filter or choosing one of the predefined Workspaces that host a range of Filters according to the type of photography. Luminar is versatile. You can custom-save any combination of Filter adjustments as a Preset and re-use it later for other images (or batches of images). The folks at Skylum hope to attract existing Adobe users by combining features of both Luminar and Photoshop in a single App. And that’s the reason Luminar has Layers. The ability to add additional images in new layers is something that is lacking in Lightroom, and often the sole reason of Lightroom users jumping back to Photoshop. Masking tools in Luminar are everything you would expect. You can mask any layer or an adjustment filter, using either the Brush Mask or any of the other mentioned masking tools. Not everything is perfect, as we’ve seen Luminar struggles somewhat when put up against a more advanced photo manipulation requirements. Namely, how the transform tool is unable to properly scale the Mask with a Layer. This is not a huge problem unless you’re making composite images, but it is something that we’ve taken for granted in Photoshop for years. Performance is generally good. It starts rather quickly and loads photos the same. It does take a bit longer to export a photo, but its nothing too worrying. In comparison to Photoshop, it showed less RAM usage, at least in low-level use. I did experience one or two sudden crashes, but considering how much I used Luminar, those were very rare. Finally, I’d like to conclude by saying that Luminar is a great option for those not keen on paying a subscription for Adobe products, thanks to its “pay once, own for life” model. But also for any photographer who appreciates a modern App that is easy to use yet offers powerful editing tools. Though it still can’t quite compete with Lightroom when it comes to working with large batches of files, mainly because it completely lacks any kind of cataloging features, it’s still a great photo raw editor when it comes to the rest of the workflow. Anes is a graduate student of Computer Engineering in the field of Multimedia Computing at the University of Algebra. His interests and skills include web and graphic design, but his passion lies in photography. He's been doing freelance work as a photographer and a content writer for the last several years. Luminar totally lacks colour management, at least in the windows version. So it is unusable for even the least ambitioned post-processing.